From the capital San Jose I headed south to the Pacific Coast. 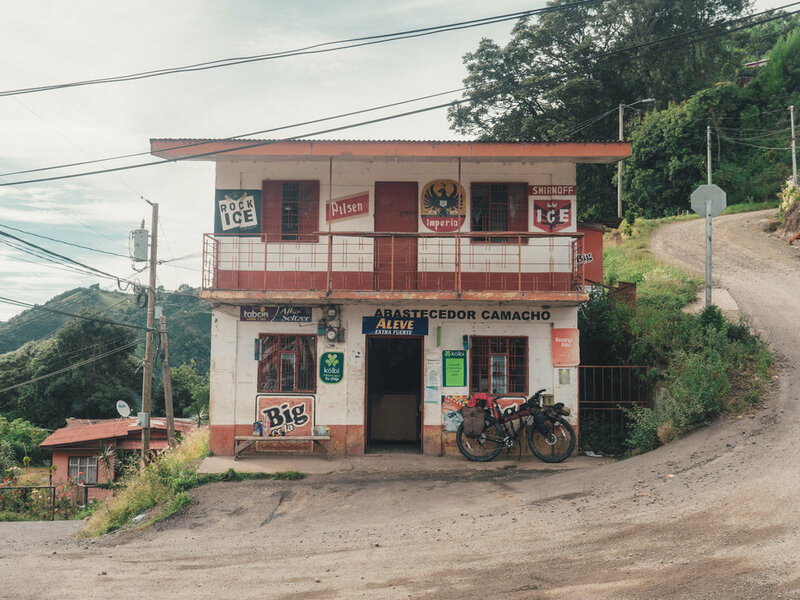 I mapped out a route straight through the coffee plantations, avoiding the bigger roads. Google maps promised a lot of elevation change. If you’d ask if I knew how steep the roads were going to be, I had probably taken another route, but I’m happy to have chosen this one. Afterwards it always feels much more rewarding to haven taken a more difficult, less travelled road then, then the easy way. It started fairly easy from San Jose. A gradual climb up on the first hill, slow, but not too steep. A lot of traffic on the way. The other day I had the bike serviced with fresh oils and a new chain. On top of the pass I stopped for a watermelon break. Two motorcyclists curiously inspected my bike and were interested in how it heavy it was. I let them lift it up. They couldn’t believe the stories that I had cycled all the way from Vancouver. But if I say to people I’m heading to Panama they find it already hard to grasp. Anything seems far on a loaded bike for people who never cycle. 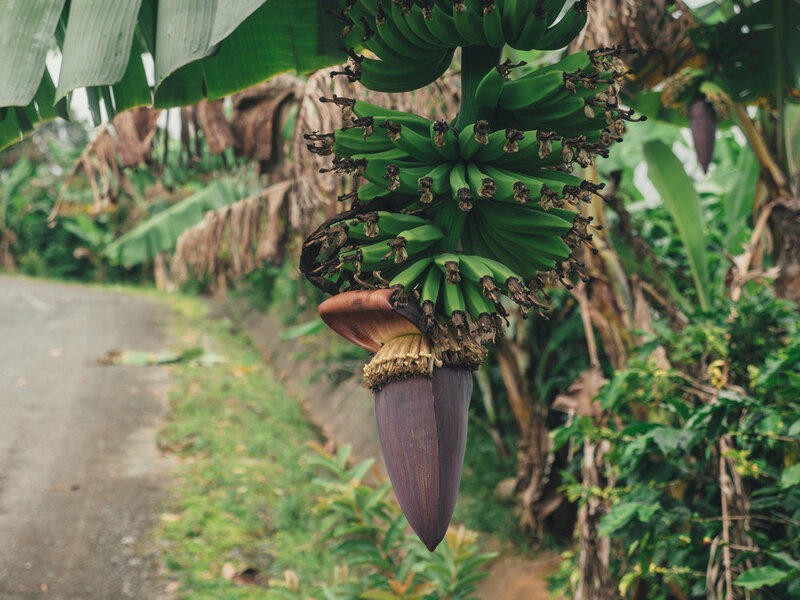 I let myself fly down the first hill winding through coffee and banana plantations, Usually very small, local farms. It went so steep that I couldn’t film the landscapes on my phone. My breaks screamed, the new disc pads not properly worn in yet after I had them replaced in San Jose. 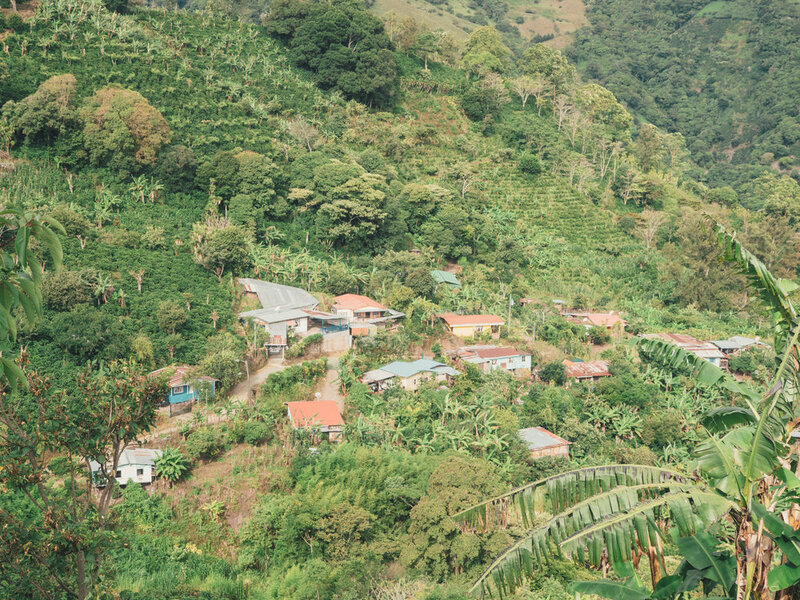 Left and right steep coffee fields. 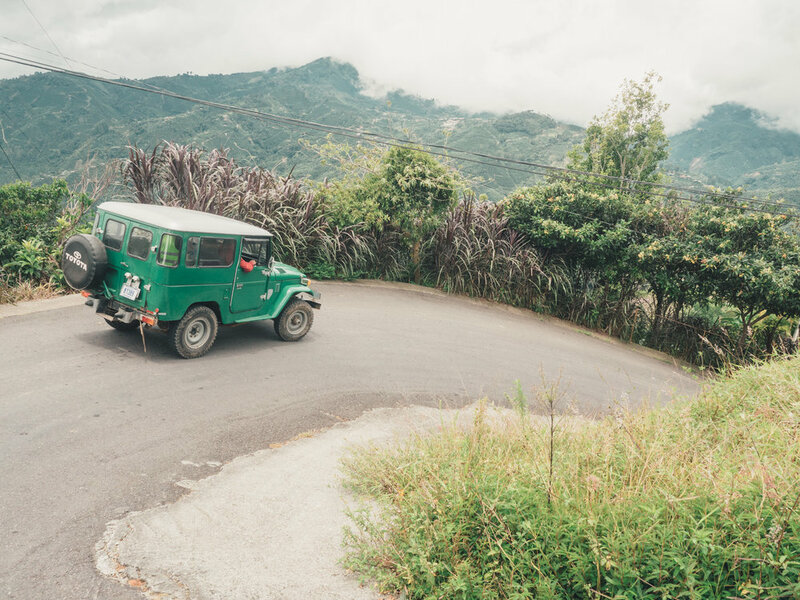 There are hardly cars, apart from the old Toyota Landcruisers which are still widely used here outside of the cities. They are saving their breaks and I pass them on the downhill. I am greeted by every driver. 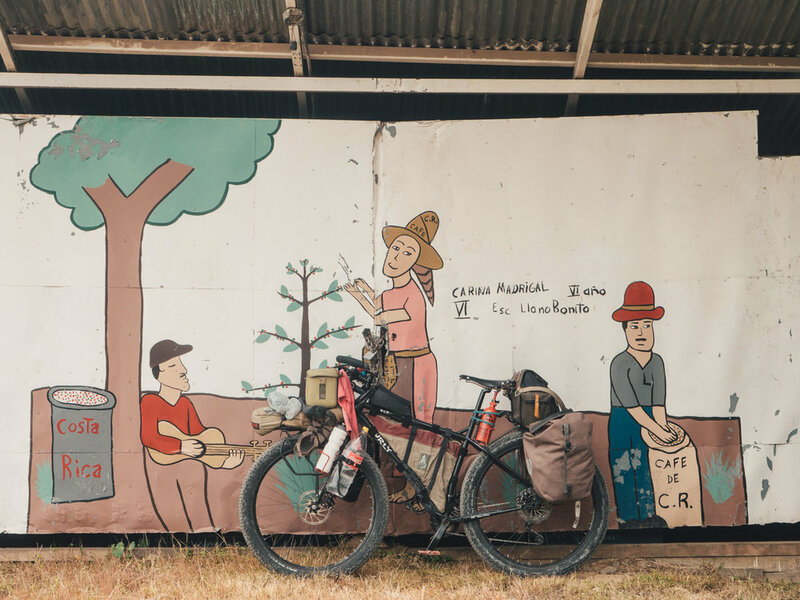 The more remote you go, the friendlier and welcoming the people are. I reach Monterey, a little village in the deepest part of the valley where a river streams. No piece of pavement is level, everything is under an angle. Only the short bridge over a small river is flat after which it goes steep up again. A local on a motorbike starts a conversation. I explain my route, but he suggests another, longer route which is more flat. I object, I’m here for the climb. But he keeps saying it’s too steep. I remain stubborn, later I will learn he was right. Eventually he lets me go. I buy some pasta, veggies and fill up my water before I continue uphill. Right out of Monterey the road inclines unforgivingly. Grades between 12 and 20%. Luckily the pavement is smooth so I’m able to cycle, but at some point I’m so tired that I start to walk. It’s not much easier but with walking you use different muscles so I have some reserves. I’m desperately looking for a place to camp, but there’s simply no flat space. On the right it goes straight up and the left straight down. After a while I find a fenced off track with a sign saying ‘private property’. Behind the fence the road is overgrown so I assume I won’t meet any people here. It turns out to be a perfect camp spot. I cook my pasta under a fiery red sky. It turned out to be a long day. 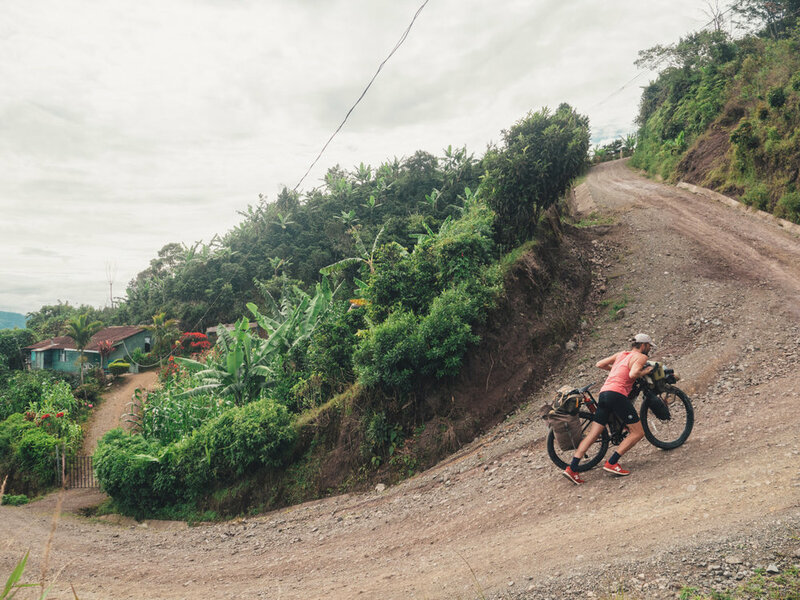 I wanted to reach the coast and assumed it would be easily done because the last 40 km would go downhill from 2000m towards sea level, one long descent. It wasn’t. 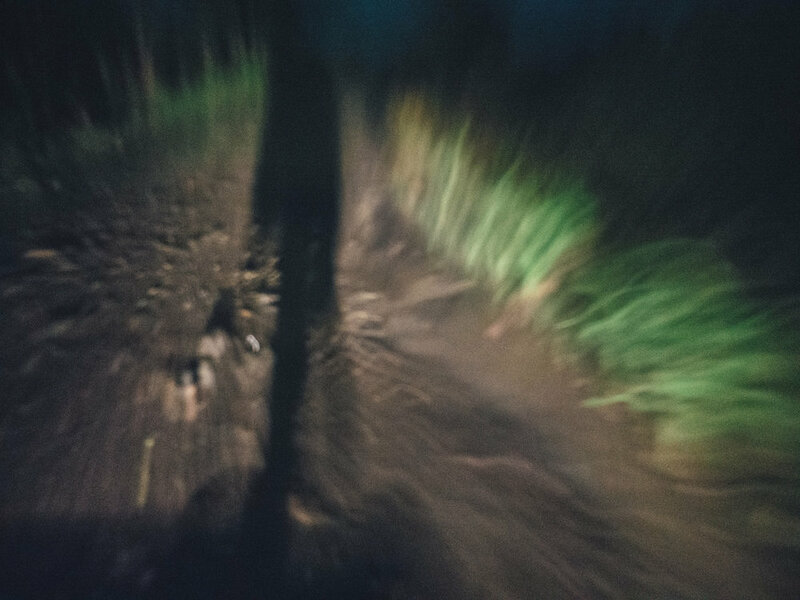 Lots of small ups and downs on rough gravel, mud and some small streams were awaiting me. It got dark fast and I still had 25 km to do. To make things worse it started raining continuously. The way it can only rain in the jungle, like the scene in Jurassic Park. 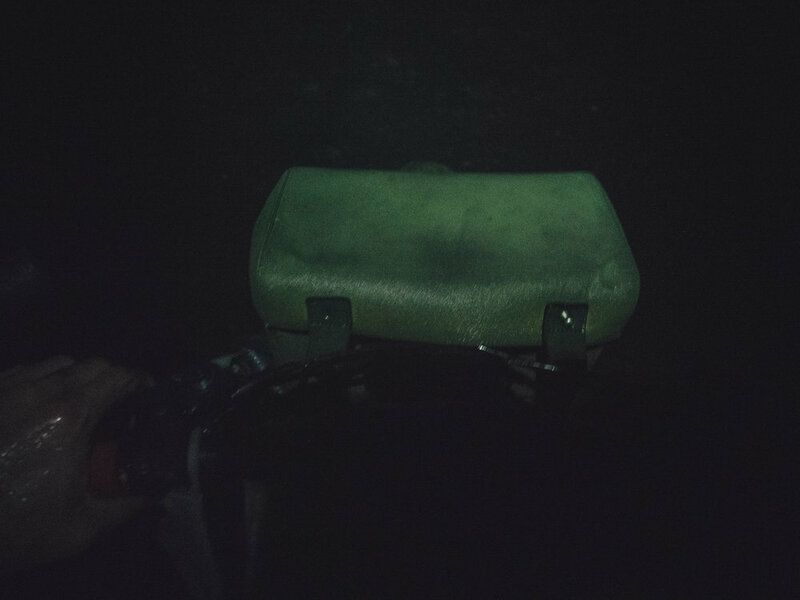 I only had a rear light at this moment, the batteries of my head torch were almost out. I just kept going through the dark, turning my brain off. It seemed like it took forever. The rain battered on my jacket. I passed someone on a motorbike. Because of the weather he drove quite slowly. To light my way, he kept driving behind me. The unpaved road was slippery and full of potholes. Big frogs were sitting in the puddles staring in the dark with big eyes that lit up in the headlight. I drank the water coming down my rain coat. 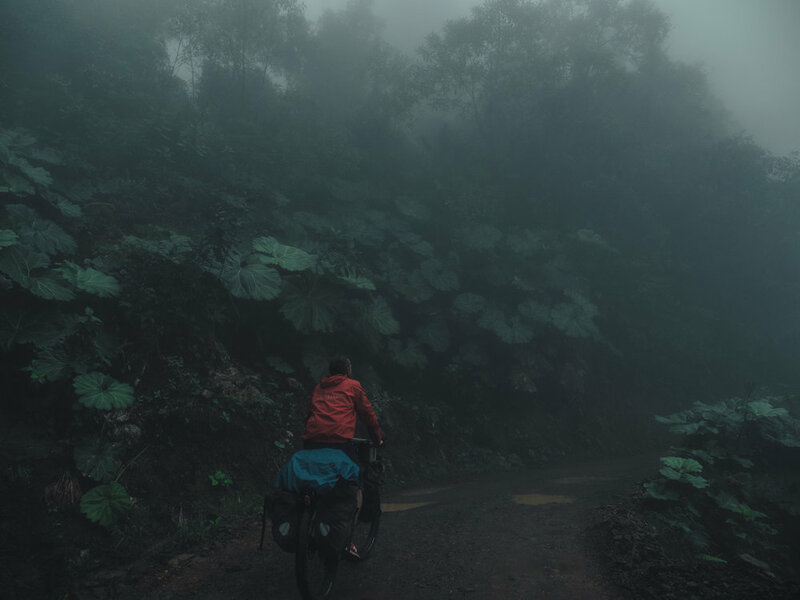 We rode fast on straight roads through palm oil fields that looked majestically grim. Left and right I could notice the silhouettes of large palm trees perfectly planted in long rows. At some point the motorbike took a turn. He was gone and left me in the dark. I couldn’t check the map on my Iphone to check where I was because of all the water on the screen. When I reached the highway I made a sigh of relief. It didn’t take long until I found a motel.